The FAQ displayed on this site has been compiled by the The Scientific Alliance who are a non-profit membership-based organisation, based in Cambridge. The Alliance brings together both scientists and non-scientists committed to rational discussion and debate on the challenges facing the environment today. Throwing large amounts of money at unreliable sources of energy when others with much greater reliable potential are starved of investment is poor economics and will not be followed by any other country governed with good sense. This is gesture politics at its worst. Wind has been used to power machines for some 2,000 years and the first recognisable windmill producing electricity was built by American Charles Brush in 1888. Windmills have therefore had an extraordinary long lifespan but mostly restricted to milling wheat or pumping water. They were sometimes used to produce electricity as well but this was on a very small scale, mainly charging DC batteries on electric fences or radio transmitters. These applications were reasonably successful as intermittency was not an issue. However, the last twenty or so years have seen the worldwide proliferation of ever larger windmills, now referred to as turbines and now used on a large scale to produce AC electricity for national grids. As all their well documented problems of intermittency, mechanical frailty and short service life remain, building and operating these machines is wholly dependent on a high level of public subsidy. Such use of consumers’ and taxpayers’ money is justified by politicians to reduce our carbon emissions in keeping with the hypothesis that the human race is responsible for changes in the climate. Building wind farms in a windy country like Scotland sounds like a good idea. After all, the wind is free, we have lots of it and it will reduce our dependency on expensive imported gas as North Sea fields run down. This sort of simplistic thinking is why the renewable energy industry’s opinion polls still show a majority in favour of wind power. But that is largely the opinion of people who are unaware of the true picture; wind farms often attract strong local opposition normally based on visual intrusion and noise. However, they have even more fundamental problems which render them unsuitable for any location, either on land or at sea. Wind energy is intermittent. Electricity is only generated when the wind is blowing, so it can never provide a secure supply. There may be a surplus during the night when demand is low or none at all when demand is high. 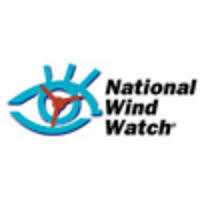 Turbines only operate given the ‘right’ wind. Turbines typically need a wind speed of 10mph to start producing but need to be shut down above 55mph. Electricity is produced in direct relation to the speed of the wind, giving an average efficiency of little over 20%. Wind farms need to cover large areas to give a significant output. Wind may be free but it is a very weak source of energy compared to fossil, nuclear or even hydro-power. Large areas need to be covered with turbines, destroying landscapes for miles around. Wind Energy - Is It Expensive? Wind energy is expensive. Prices claimed for wind electricity do not include hidden costs such as guaranteed feed-in tariffs, having standby generators running inefficiently, building many miles of additional and unsightly transmission lines and decommissioning or replacing turbines at the end of their short lifespan. Prices for conventional electricity have also been artificially inflated by the Climate Change Levy and CO2 charging. Wind turbines have a much shorter life than conventional plant. Gas and coal stations operate for 40 years or more and can be refurbished or upgraded component by component. Nuclear stations have an operational life of 50 years or more. In contrast, wind turbines only last for around 20 years before having to be scrapped. In addition, recent research shows that their output deteriorates significantly after only ten years. A European ‘smart grid’ would not guarantee security of supply. The renewable energy lobby claims that ‘the wind is always blowing somewhere’, therefore a European-wide grid would smooth out local variations. This is a myth. All windy areas of Europe are subject to similar weather patterns and calm spells often prevail across the entire continent. The only way to guarantee security of supply, with any intermittent generating method, would be an energy storage capability of at least several consecutive days. Despite many years of research and development, such a system still eludes the world’s best brains. Consumers pay if too much electricity is generated. The contracts under which wind energy is supplied include a provision to pay operators to shut down their turbines if their output is not needed, i.e. when the wind is blowing but demand is low. The cost of this is also borne by the consumer via higher electricity prices. Although excess electricity can sometimes be exported at spot prices, these are poor. Wind energy requires long transmission lines. Wind farms are mostly built in remote areas or offshore, far away from centres of population where the electricity is needed. This requires longer, more expensive and more intrusive transmission lines than power from conventional sources. Because many wind farms have to be built to match the output of a single conventional station, long lines of pylons have become an eyesore in themselves. Such long transmission lines also lead to greater power loss. Offshore wind energy is doubly expensive. Offshore wind turbines attract less opposition and appear more efficient, as average wind speeds are higher. However, marine turbines are difficult, dangerous and expensive to maintain. The cost to the consumer is also much higher as they are paid double the subsidy of onshore turbines. More wind energy = less CO2 emissions reduction. On the face of it, a unit of wind-produced electricity displaces one generated from coal or gas, so reducing CO2 emissions. However, this does not take into account backup generation. As the proportion of wind in the generating mix increases more spinning reserve is required and less emissions are saved. The most effective way to reduce emissions is to increase efficiency and the most efficient way of producing low carbon electricity is to use nuclear power. Turbines may never pay off their ‘carbon debt’. 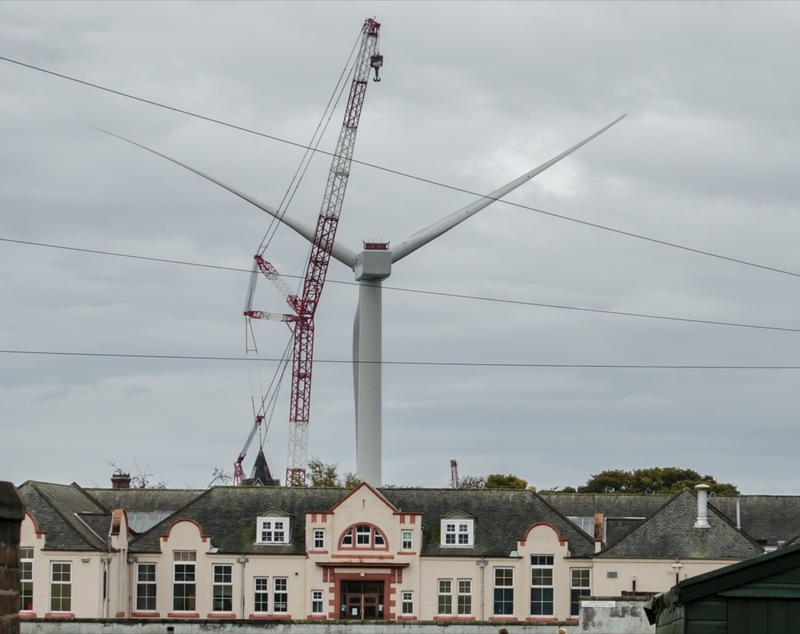 According to Scottish Renewables, the carbon dioxide emissions from construction and installation of turbines is paid back within the first year of operation. This is patent nonsense as it fails to take into account the construction cost and environmental impact of the turbine components or the manufacture and installation of the associated cables and transmission lines. It also assumes that damage to peatland is successfully addressed by restoration efforts. Wind energy creates few local jobs. There is an established industry producing wind turbines overseas by firms such as Vestas and Siemens. Such companies may have some, low tech, manufacturing close to the market but employment will come mainly from construction and maintenance work. Studies in Scotland and Spain show that concentrating on the massively expensive renewables sector to the detriment of other sectors including R&D actually destroys jobs. Wind energy puts our industries at a disadvantage and increases CO2 emissions elsewhere. Higher energy costs place an additional burden on European companies already at a competitive disadvantage in a globalised economy. Locally manufactured goods are displaced by imports from countries such as China, where emissions are increasing rapidly. Scotland’s increasing reliance on wind will therefore increase its consumption-based carbon footprint: the Climate Change Committee reports that, for the UK as a whole, the consumption- based measure of emissions has increased by 10%. Any emissions saved in Europe are more than offset by rises elsewhere. The EU is becoming an ever smaller part of the world economy as China and other emerging economies continue to grow fast. This growth is made possible by an expanding energy sector, fuelled largely by coal. Even if the EU were to meet its self-imposed targets, which is impossible without drastic de-industrialisation, global carbon dioxide emissions will continue to rise for decades to come. Due to a growing resistance to wind farms, enhanced incentives are now being offered to local communities. In England the government recommends £5,000 per megawatt of installed generating capacity per year. However to put this in perspective, a single two megawatt wind turbine will generate over £425,000 per annum from a combination of the electricity it produces and various subsidies including “constraint” payments from over-capacity shutdowns. There are now calls to extend community payments to more people with some even suggesting that “everyone should benefit from this bonanza.” This is of course impossible as the majority must continue to pay in so that the lucky few may benefit. Wind farm developers who need to fell trees must now undertake “compensatory planting.” Replacement trees are normally planted elsewhere by the Forestry Commission with the developer paying. The cash collected in this manner has so far allowed the Forestry Commission to buy out more than 40 farms, many of which were arable. Electricity bills are therefore being inflated to subsidise not only wind turbines but the elimination of productive farmland essential for UK food security. In light of the damning technical and economic evidence now in the public domain, the conclusions are plain. Not only is wind-generated electricity hopelessly inefficient and ruinously expensive, it is also bad for the customer, bad for jobs and bad for the environment. Civil servants and politicians alike have been comprehensively hoodwinked by renewable energy spin-doctors. In twenty or thirty year’s time the turbines will have gone, but the economic, commercial and environmental damage will remain. This FAQ can be downloaded thanks to the work of The Scientific Alliance who created the document for the successful launch of the Scientific Alliance Scotland in Edinburgh on the 27 June 2013. The document contains further information, key quotes, and images which highlight the negative developmental impacts of wind energy and users are encouraged to share this with other groups, individuals, councillors and politicians in your local area.